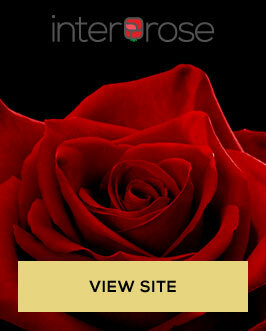 interROSE.co.uk is the very first website we started, way back in 1999. Since then it’s grown to be one of the most respected online florists in the UK. It has a huge range of roses, rose petals and unique extra gifts that you won’t find anywhere else. 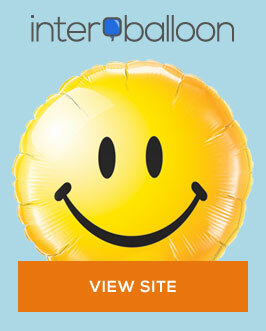 interBALLOON.com has one of the largest ranges of helium balloons available online today and offers next-day delivery to anywhere in the UK. 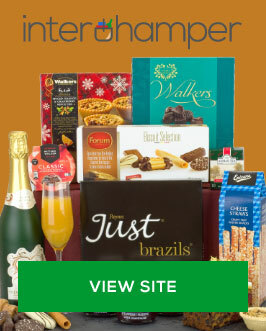 interHAMPER.co.uk is one of the premier hamper delivery websites in the world, delivering fresh hampers next-day all over the UK. interMISTLETOE.co.uk is the number one website in the UK for fresh Mistletoe, Holly and Wreaths. COMING SOON - interPERFUME.co.uk is the latest addition to the www.inter.gifts family. We have a diverse range of fragrances, for men and women, from some of the hottest brands around the world. Protecting your personal information is incredibly important and we do this in compliance with both the Data Protection Act and GDPR. We will only ever use your data collected on our gift delivery websites interROSE.co.uk, interBALLOON.com, interHAMPER.co.uk, interMISTLETOE.co.uk and name-a-ROSE.com to process your order, to contact you regarding the order and to keep you up to date with useful product information and occasional special offers. We store all your personal data securely, we don't sell your data to anyone and finally we won't keep your data any longer than needs be. To enable us to deliver your gift we need this information to complete your order. To keep in touch - if needs be - with regard to your order, providing you with the best possible service. To keep you up to date on news, latest gifts, special offers and discounts – unless of course, you choose not to be included on our mailing lists. To detect and prevent potential fraudulent activity. To take payment or refund you. We can't uphold our contract with you without this information! However, we do not store your card details. If you have a current subscription with us, you card details will be stored with our secure payment provider under contract with ourselves in compliance with the Payment Card Industry Data Security Standard (PCI DSS). We also use your payment information to help detect and prevent any potential fraudulent activity. Our customer support team need this information to help you with any order queries, complaints and of course thank-yous, it' so we can provide you with the best possible customer care and support. We also use your order history for our reports to help us to understand and provide you and future customers with the best possible products and service. We need this information to carry out our contract with you – Without this information you wouldn't be able to enter competitions or receive promotions from us. You are not obliged to provide us with your personal information, however if you don't, you may not be able to complete your purchase with us. This may also impact your overall customer experience. But, this is your choice and we will always respect your decision. We never sell your data to any third party we simply use it to fulfil your order and through our consumer-customer relationship we aim to earn your trust and respect your privacy at all times. Our Delivery companies Royal Mail, DPD and DPD Local. Our payment service providers Securetrading and PayPal. Our marketing distribution company Mailchimp. If you have purchased with us at anytime you will begin to receive occasional marketing messages by email or post, unless you have otherwise stated that you do not wish to receive these. We will continue to send marketing messages until you either unsubscribe or 36 months have passed and you haven't opened one of our emails. You can stop marketing materials being sent at any time by clicking 'unsubscribe' at the bottom of one of our emails or contacting our customer support team. Once you have unsubscribed, this will be actioned within 5 working days. Please note stopping marketing messages will not stop order confirmation emails and order updates from being received. If you wish to amend any of your details, this can be done by clicking the 'amend my details" at the bottom of one of our emails or contacting our customer support team. Any amendments will be actioned within 5 working days. We will hold your data for as long as you continue to open our emails, if after 36 months you have never opened an email we will remove you from our marketing list, however we will continue to keep records of your orders to meet our legal requirements, as well as for reporting purposes. If you wish for us to anonymise your data, we can. Upon anonymisation your data will have no indication that it had once belonged to you. The right to access your personal data held by us. The right to be informed about how we use your personal data. The right to request any incorrect data to be rectified. The right to request that we cease processing your data. The right to request that we anonymise your data. The right to stop direct marketing messages. The right to request your data to be transferred to either yourself or another service provider. The right to file a complaint with the Data Protection Regulator – in the UK this is the Information Commissioner's Office. Details of how to contact them can be found at ICO.org.uk. If you wish to exercise any of your rights, or have any questions we will be more than happy to help, simply send any queries to hello@inter.gifts. This information is subject to change as we often review how we process your data. This notice was last updated on the 22/05/2018.